The political chess match regarding the Preakness Stakes' future took another turn this weekend when the Baitimore Sun reported that Pimlico Race Course will lose what a recent study termed "the only tie back to the history of the Old Hilltop days." Pimlico's grandstand capacity will decrease by 6,670 seats with an engineering firm determining that the open-air section on the north end of the track termed “no longer suitable to sustain that level of load bearing weight,” according to the Baltimore Sun. 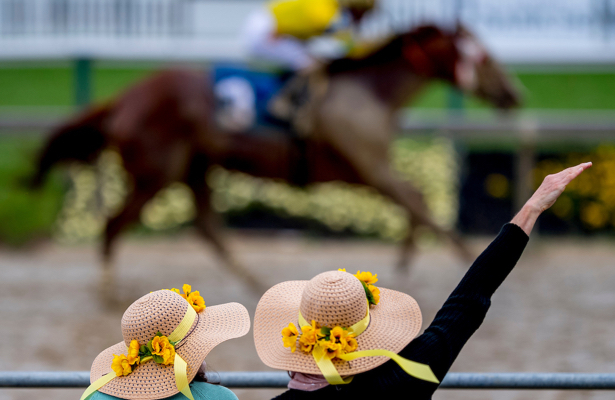 “As the safety and security of all guests and employees at Pimlico is paramount, the Maryland Jockey Club made the difficult decision to close that section of the grandstand for this year’s Preakness Stakes,” a Maryland Jockey Club statement said. The Maryland Stadium Authority study released in December claimed that Pimlico had “reached the end of its life,” and provided a more than $400 million plan to rebuild it as a multi-purpose facility. Meanwhile, The Stronach Group, which owns and operates Pimlico, has said it isn't planning to spend on improvements to the Preakness' home. Baltimore politicians, including Mayor Catherine Pugh, are fighting to keep the Triple Crown's second leg in town.